Sorin Stoica‘s story is unique. It’s one that starts in Romania, includes law enforcement, and has reached the top of North American soccer. 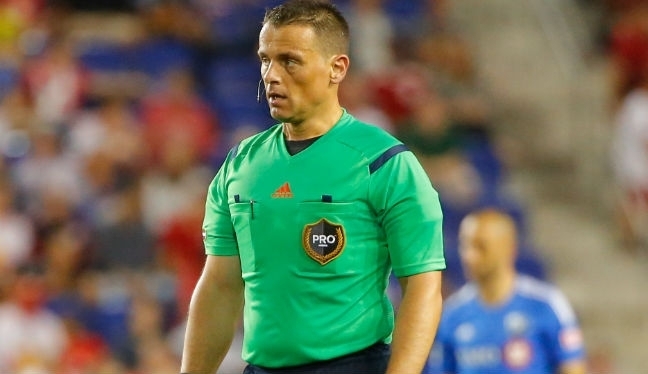 The referee’s name isn’t featuring on the opening rounds of MLS games as he’s currently out injured, but we caught up with Stoica to talk relocation, climbing the officiating ladder, and future targets. I started refereeing while I was still playing in my youth back in Romania, which is where I am from. When I was 19 years old, I was playing in the third division and not getting paid, so I decided to quit and took the test to become a police officer, which I passed. After finishing school, I was a police officer for almost five years. Most of the time I worked as a traffic control officer in a small town not far from Bran Castle, which is Dracula’s Castle. Being a policeman isn’t an easy profession. Every hour of every day is different, providing you with a different challenge, and you need people management skills to be successful. You need that as a referee, too, and you also need a strong personality to manage the players and coaches effectively. Despite the challenges, I really enjoyed being a policeman but, in 2000, the opportunity arose for my wife and I to move to the United States. In 2001, we relocated to Cleveland, Ohio – it was a big dream of mine to come to the U.S. The language barrier, differences of culture and civilization can have a negative impact, but soccer made the transition so much smoother. After a year in the States I met a Romanian guy who was already officiating. 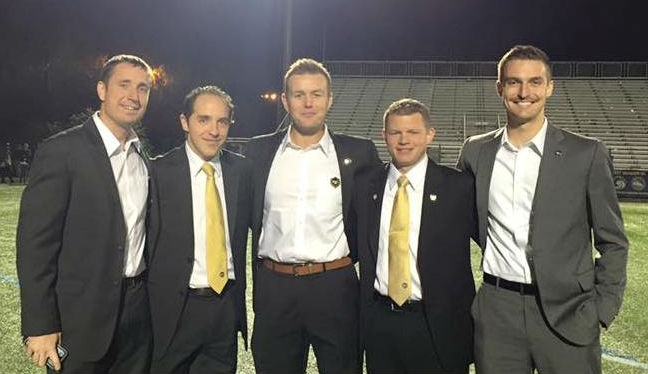 He directed me to the local Referee Association website, where I found the steps I would need to follow to become a referee in North America. And this is what I’d advise any aspiring official to do. I already had my Romanian referee license so I had to pass all the necessary differences for North America, and in May 2002 I started officiating in the youth leagues of north east Ohio. 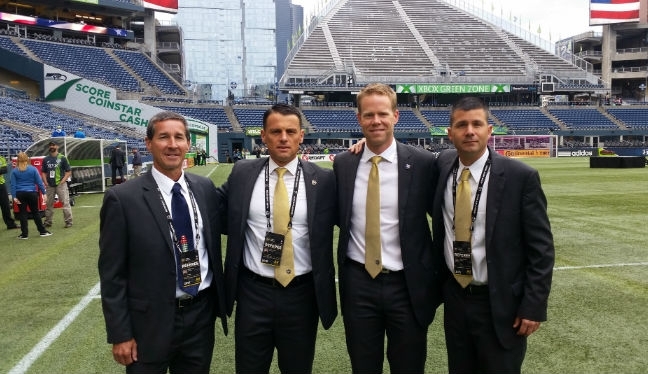 My first assignment was for an Under-16 Boys State Cup game as an assistant referee for Chris Penso, and in 2012 I actually joined him on the MLS referee roster – something our State Association is very proud of. When I first got into refereeing I didn’t have any kids, it was just my wife and I, so any extra income was gold. I was doing games over the weekends to start with, but then I started traveling to different youth tournaments across the region, and was upgraded. That soon turned into national youth tournaments, being assigned by U.S. Soccer and, in 2009, I became a national referee. It wasn’t easy, though, that’s for sure. Whilst climbing the refereeing ladder I was working in a warehouse but, to be able to keep my officiating dream alive and travel to the professional games I was receiving assignments for, I had to make some big decisions. I went back to school and got my massage therapist license, and that was a big step and a very important decision I had to make. One of the things that I most appreciate here in the States is that you have the opportunity to become what you want, and do what you love. But, of course, you have to put everything in and work very, very hard. Alongside hard work, you need support. My wife was, and still is, a huge support to me throughout my journey. It is one of the big things in refereeing, to have a strong and healthy family life. We are always encouraged by PRO to have and preserve happiness within our families. The second part of Sorin Stoica’s story will be published on proreferees.com soon.